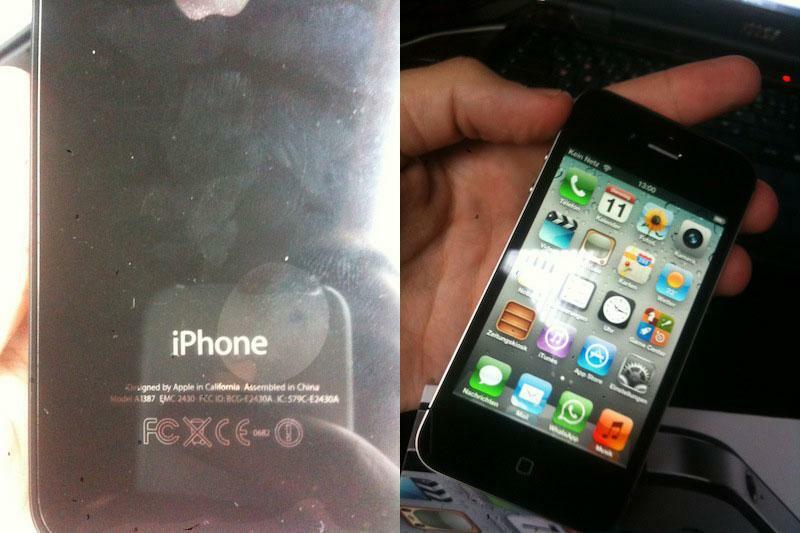 One customer in Germany has been delivered an iPhone 4S early, offering a first glimpse at the packaging of the handset as well as screenshots from the device. The iPhone 4S was delivered by German Telekom, which began accepting preorders for the handset before it was even announced, in early September. 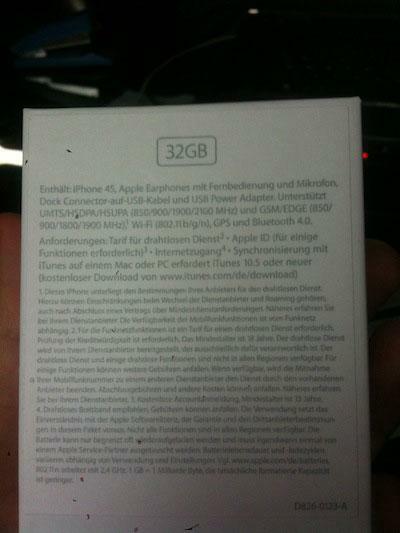 One of those early customers was fortunate enough to have received an iPhone 4S early, and images of the device were shared with Macerkopf.de (via Google Translate). 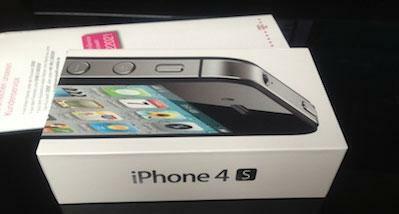 While other iPhone 4S units have been obtained early, and even thoroughly tested to demonstrate the processing power of the new A5 processor, none so far have offered a first look at the box for the iPhone 4S. 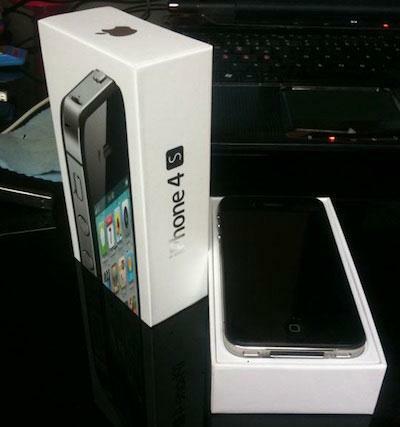 The new box shows a design and even graphics similar to that of its predecessor, the iPhone 4. 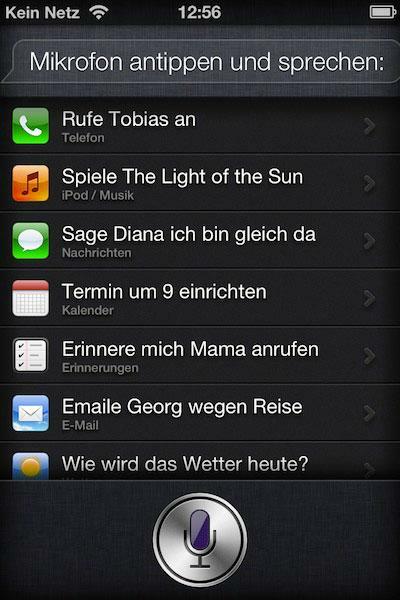 Among the images is also a screenshot of the device's Siri voice recognition functionality. At launch, Siri will come with built-in support for English, German and French, while more languages and services will be added over time. For almost everyone else, the iPhone 4S will be delivered or available in stores this Friday, Oct. 14. Online preorders began last week, but Apple quickly sold out of its initial supply, and new orders are estimated to arrive in one to two weeks. Apple announced on Monday that it sold a million preorders for the iPhone 4S in its first 24 hours of availability. That was a new record for the company, besting the 600,000 preorders earned by the iPhone 4 in 2010. Analysts expect the iPhone 4S to continue to break records and become Apple's best-selling smartphone yet. The iPhone 4S has been predicted to sell around 3 million in its first three days of availability, helping to reach 25 million total sales in the holiday quarter. The iPhone 4S launches Friday in the U.S., Canada, Australia, the U.K., France, Germany and Japan. It will expand to 22 more countries by the end of October: Austria, Belgium, Czech Republic, Denmark, Estonia, Finland, Hungary, Ireland, Italy, Latvia, Liechtenstein, Lithuania, Luxembourg, Mexico, Netherlands, Norway, Singapore, Slovakia, Slovenia, Spain, Sweden and Switzerland.